PRL Glass Systems, Inc. announces the START UP of our new state of the art 96″ x 153″ laminated glass line, automatic float and lamination glass cutting lines, as well as a 96″ x 172″ tempering oven. These new production lines give us the ability to be your ONE STOP SHOP Laminated Glass Manufacturer. Our mission is to be able to service and provide you with ALL of your complete glazing products. 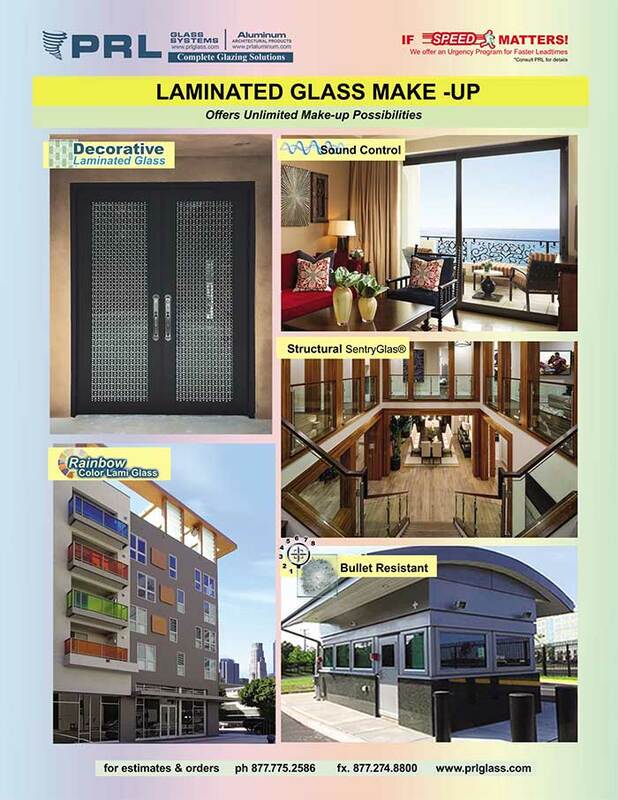 With these new operations in full force now, it will allow us to fabricate laminated glass and over sized tempered glass faster than any other laminated glass fabricator.